My trip to Florida with Gloria Steinem — Carly Romeo & Co.
At the beginning of September, it will have been seven months since I moved back to Richmond from New York City. My time in NYC was lovely in some ways and horrible in others, and I feel like the last seven months have flown by. But I left behind a lot of things that I loved in NYC, and one of those things was a job that was pretty freaking rad: working with Gloria Steinem. I worked with Gloria for two and a half awesome years. Gloria was the one who first told me that I should stop listening to my doubts about doing photography (I'm not educated for it, I don't know all the terminology/science/tech details, I'm not good enough at it) and that if I want to do something with my life...I should JUST START DOING IT. Pretty radical notion, really. Shortly after she dropped that truthbomb on me, I got the chance to accompany her on a trip to Florida. 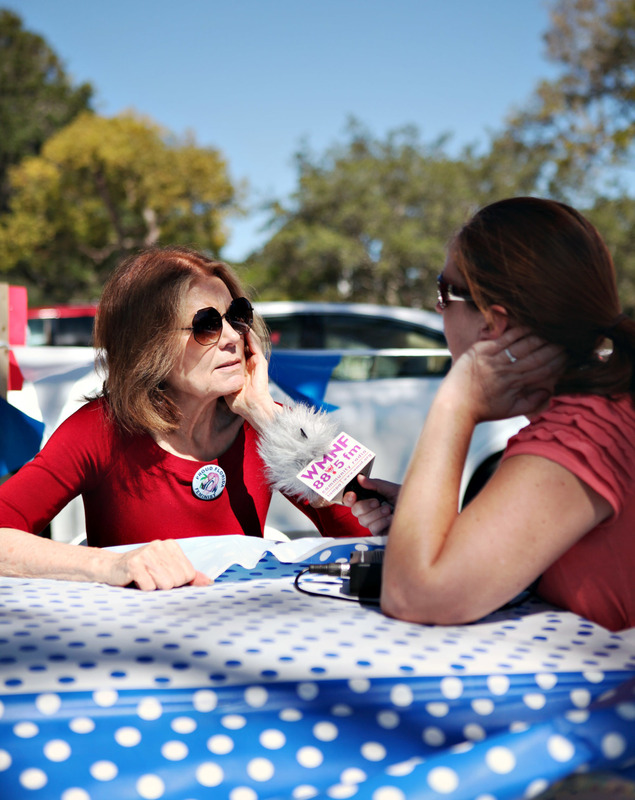 Yes, that's right, I spent ten days in Florida with Gloria Steinem. Yes, it was awesome. No, we didn't go to Harry Potter World (well, actually, I did go, but not with her). We embarked on a stuffed itinerary of talks and events centered around voting. And, since I had just decided to JUST DO IT, I got to take a ton of photos along the way. Here are some of my favorites!